So this weekend is all about down-time; heavy doses of house maintenance, Netflix, homemade dinners and hanging by the pool. No agenda but leisurely catch-up. A perfect time for a nice, light and well-priced Pinot Noir. 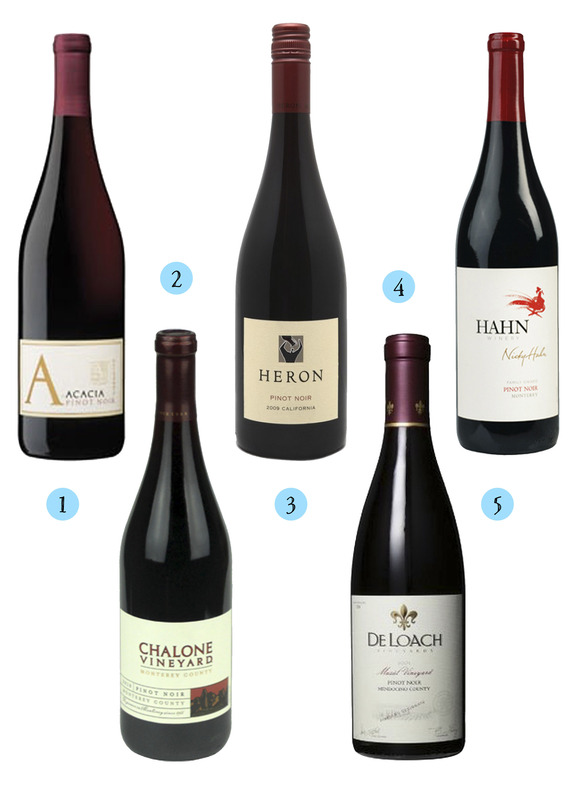 Generally reds are too heavy for the summer heat, but Pinot Noir is a year-round, any climate wine. If I’m having it outside I’ll set the temperature on the wine refrigerator a little lower than the red setting. Too cold and you can’t get the full depth or bouquet. Like I mentioned on my post 11 delicious white wines for summer, wine is something I have a passion for. You don’t need to spend a fortune, but the lower you go on price point, the more aware you need to be of what wines are wonderful values and which are just plain wrong. Just like consignment shopping or flea markets, it is a treasure hunt. 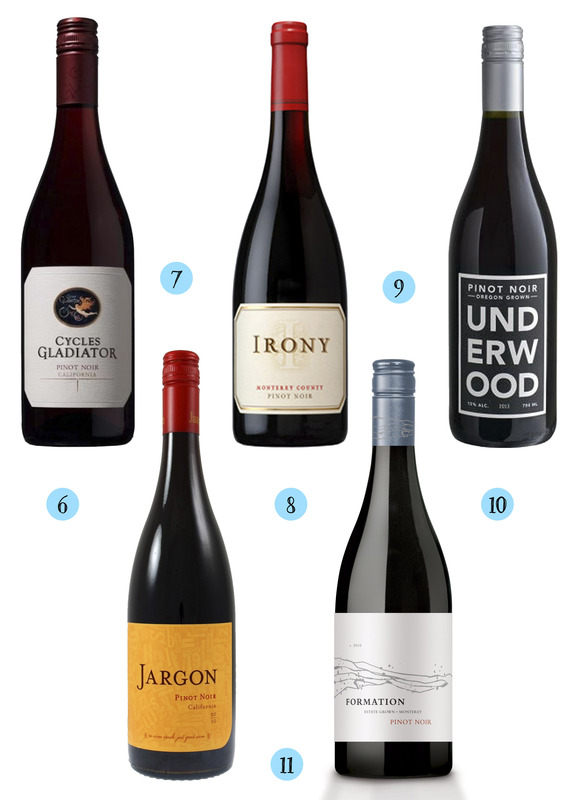 So here are my favorite 11 Pinot Noirs all under $15. They are in no particular order and all have high Wine Enthusiast ratings. These are gems and you can feel good about gifting them to your hostess or serving them at your next dinner.